Avaira Vitality are bi-weekly, silicone-hydrogel contact lenses from CooperVision. These third-generation lenses feature a high water content and UV filters. This package contains 3 lenses. Avaira Vitality is an updated version of the Avaira brand of lenses you know and love. 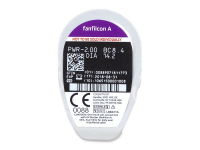 The lenses are made from Fanfilcon A, a silicone-hydrogel material with a high water content. 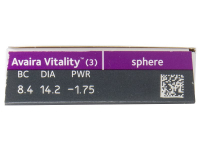 The recommended replacement schedule for Avaira Vitality is 14 days. 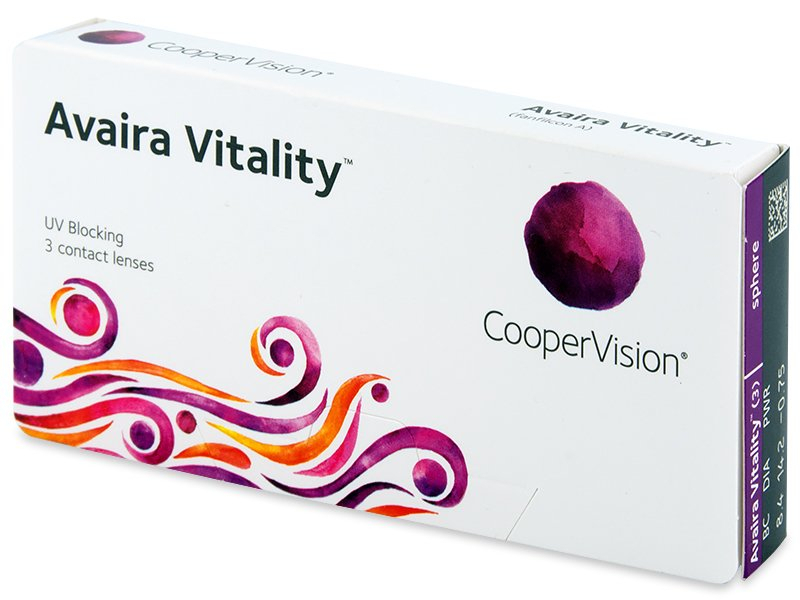 Avaira Vitality lenses are also available in a package of six lenses. 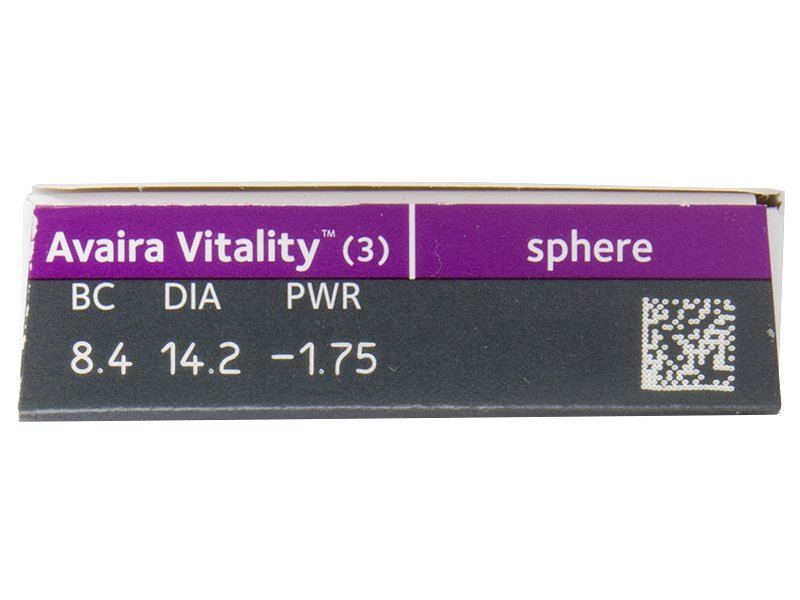 The advanced, silicone-hydrogel material that comprises Avaira Vitality lenses provides excellent moisture throughout the day. The combination of high water content and high oxygen permeability ensures comfortable fit and wear and reduces symptoms of dry eye syndrome. The lenses also contain UV filters that protect the eyes from harmful UV rays that can potentially cause permanent eye damage. However, because contact lenses only cover a part of the eyeball, it is still recommended to wear sunglasses to protect the entire eye area from sun damage.